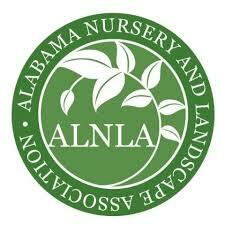 Pine straw is an excellent choice for mulch, one of the most popular in the Southeast. Unlike other types of mulch, pine straw adheres quickly to the ground and creates an insulating layer for moisture and erosion control. The interlocking needles stay in place, even on hills or sloped areas, making it perfect ground cover for almost any property. As an additional service to our customers, Putnals Premium Pine Straw also offers contract pine straw spreading services. 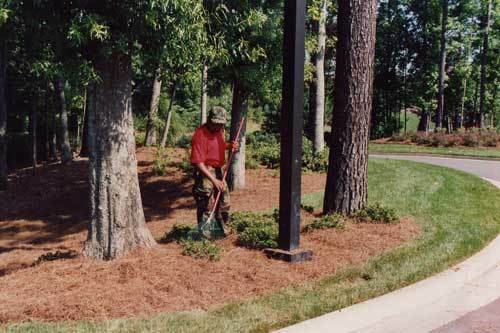 We understand that applying pine straw mulch to large properties like golf courses, colleges and parks can be costly and time-consuming for your business or organization. Our professional crews can spread your pine straw efficiently and effectively. We can often perform installations at a lower cost than doing it in-house. Overall saving you time and money. Our spreading service is based out of our Atlanta office. We specialize in pine straw installation services for commercial jobs ranging from a minimum of 300 bales and up. Our crews do travel out of town to perform installations. Please contact us for details and a quote. Our pine straw spreading crews are meticulous and fast, leaving your property looking great when they are done. Each crew can spread a tractor trailer load of our quality pine straw per day, covering at approximately 70,000 square feet of land. Once our crews are done for the day, they will always clean up any mess and leave your property looking professionally manicured. Contact us today to learn more about our spreading services and rates.